The products of Bayan Sulu confectionery plant are highly estimated not only in the Republic of Kazakhstan, but also abroad. For example, our neighbors from the Russian Federation are very fond of Bayan Sulu sweets. 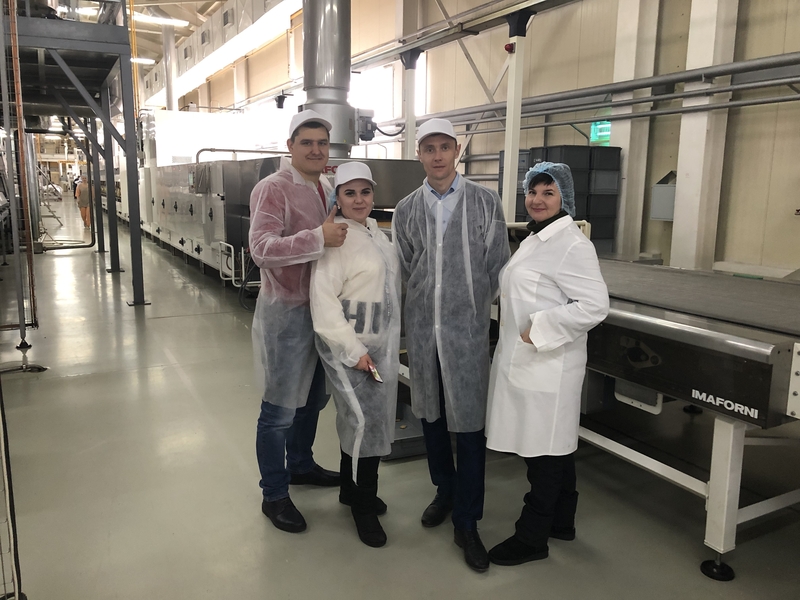 For a better understanding of production process, for a greater confidence in the quality of products sold, a familiarization visit to the plant was organized for our partners from Rostov-on-Don, Commercial Director “GС Marina” LLC Mikhail Vasilyevich Chonka; Evgeniy Yuzhniy, Yana Bukhova, as well as a sales representative in Krasnodar Galina Pervushina, and they were impressed by the level of organization of the production process on the up-to-date equipment. Now it will be even easier for them to represent the interests of the plant as they made certain of the quality of Bayan Sulu products by themselves.